Our laser allows us to treat a full range of vascular lesions from fine telangiectasia and diffusing redness, spider veins to the large deep reticular leg veins. Although there is no way to tell for sure which veins will respond, a consultation with the Doctor to evaluate and assess your veins will be required. Prior surgery or treatment on your veins could affect the treatment outcome. In some cases, further testing may be recommended to determine if there are underlying venous problems. 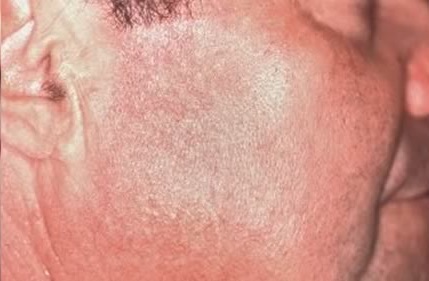 Although many patients report little or no discomfort, some may experience a mild stinging sensation only when the laser pulse is delivered. The cold tip on the hand piece helps soothe the skin as the laser is delivered. Treatment time varies depending on the number and size of the vessel(s) to be treated, usually 15-30 minutes. In many cases, significant improvement is realized in as few as 1 to 3 treatments. 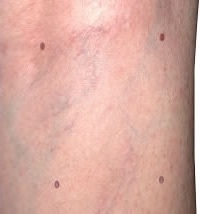 In some cases new spider veins may appear therefore, additional treatments may be necessary. Treatments may occur at 4 week intervals. 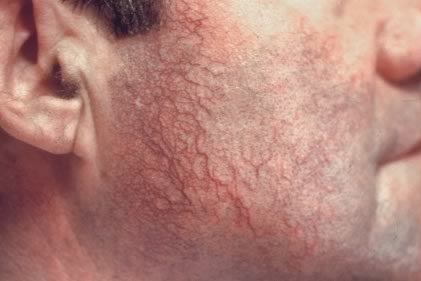 When treating vascular lesions, the blood temperature at the targeted area is elevated to a level that causes coagulation without damage to the epidermis or surrounding tissue. Because the laser energy is absorbed by melanin in the epidermis, as well as the desired target of hemoglobin, the epidermal-cooling feature integrated in the hand piece is used to reduce the temperature rise in the epidermis. 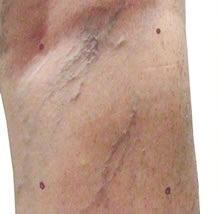 Multiple treatments may be necessary to obtain a satisfactory response for some leg veins.